Which Women’s Saddle Is Right For You? 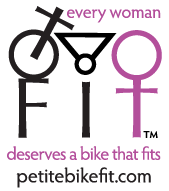 Petitebikefit.com receives promotional products for review purposes. For the six months I rode a Trek 1.2 , the single most outstanding feature on that bicycle was the Bontrager compact handlebars. levers easily–key components in boosting rider confidence. The drop and reach on these bars is the smallest of any available, and they are specifically designed for smaller hands. They even come in a 36 cm width and should be widely available online or through your local Trek dealer. These handlebars are made of aluminum — unfortunately, they do not come in carbon. Even after I sold the Trek, and tried and reviewed other handlebars on this site, I longed for the feel of the Race VR-S compact bars and am grateful to Bontrager for giving me the chance to review them! The MSRP is $49.99 which is a great value. Try them–especially if you have problems reaching your brake levers. 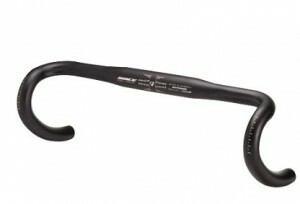 Oakley Introduces Cycling Specific Progressive Lenses! Inspiring Petite Bike Racer, Kerry Litka! 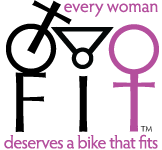 © 2011 petitebikefit.com. All Rights Reserved.